Front office staff are very helpful and friendly. Conveniently located near public transit and retail options. Pros: Place is great for pets. Pretty spacious apartments (if a little old). Maintenance issues are usually fixed very promptly. Tons of parking (with covered options). Cost is reasonable. Management is very friendly. Not loud and I don't hear my neighbors. Cons: Management has been making lots of changes (which are good) but they don't really send out communications to let you know about things or how the new changes are going to work so nobody has an idea of what's supposed to happen (ex. changing the codes/way visitors enter the gate via access code). There have been multiple maintenance issues I've had thus far (leak from upstairs air conditioner, fans not working, electrical outlets not working, etc). Bugs can be an issue (but it's often a problem in Atlanta). Wouldn't really walk around at night and there's nothing immediately within walking distance. 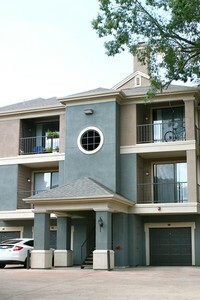 This is a great apartment, if you have a car to get to campus! 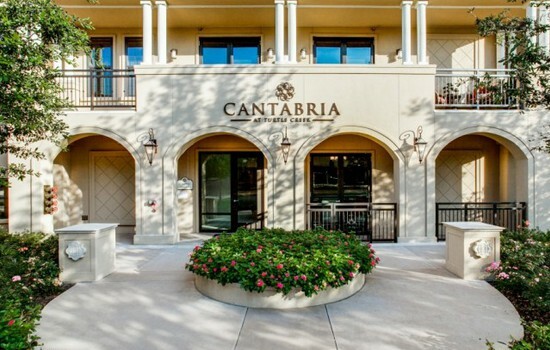 This is a great apartment complex. It is pretty new, so the appliances and amenities are great. It's also a mixed used development, so it is located in a complex with a supermarket, movie theater, Costco, restaurants and other shops. It is very convenient. The only downside is it is not as close to campus, as it takes about 25 minutes to travel to school. You would need a car. I have lived at Bridges for 2 years and really like it. The apartment is big, the bedrooms are far enough from each other that my roommate and I can have our own space. The views are very nice and it's generally very quiet. The one drawback has been that management has has to replace the A/C unit 3 or 4 times due to leaks. The layout of the apartment is nice, and the included gym membership is a welcome perk. The drive to campus is short, and it's easy to get to Carrboro and Franklin St. There are plenty of other students in the area so it's been easy to find carpool buddies. Staff here are mostly great when we've had issues, however, we've had a fair number of those issues. The breaker to our apartment malfunctioned during the early winter and left us completely without power for a weekend. During a snowstorm our heat pump froze and we had to spend the night without heat. While maintenance was understanding and helpful, the property management was nevertheless unwilling to perform preventive maintenance before these things actually became issues. So, while a generally fine place to live, it has not been the smooth sailing I expected. Compared to the apartments of many Kenan-Flagler students, the price range at Bridges is on the low end. Carrboro has a number of fairly cheap options, not all of which are good. We are overall pleased with Bridges, and would recommend it to any incoming students. Helpful staff, clean apartments. This year they are renewing all the appliances. We like our apartment a lot. It's nothing fancy, but it has enough amenities and is significantly cheaper than what many of my classmates are paying at other locations. We enjoy the pool and having a lot of trees around us. After undergoing a ownership switch, the new ownership is upgrading the counters and appliances in many of the units. The location of the complex is great as it's very proximal to Carrboro. 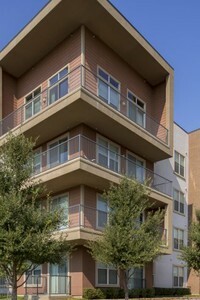 I have lived at the Bridges at Chapel Hill and I have really enjoyed it. The apartment complex is right on a bus line that comes very frequently, so it is easy to get to and from the UNC Campus. The office staff is always very helpful and they are very quick to fix anything that may be broken in the apartment. We also get a free O2 Fitness membership. My girlfriend, Sawyer, and I live here with our dog, Piper. We're a happy little family. We like the area. We are near both of our parents. And know the nice spots. Whether it's for walks with piper or margaritas with sawyer. I'm a happy man and this is my oasis. 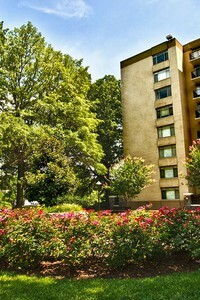 Located in Brookhaven, a very clean and safe complex. About 1yr old with nice amenities. Brand new complex. Apartments are nice, a management leaves a lot to be desired. There have been break-ins on the property, though we generally feel safe. Typical problems exist that come with apartment living- some residents are very respectful, others are not. We will not extend our lease, instead opting for month to month. The experience has been overall very good. The location is not in walking distance to the metro, but it allows convenient proximity to a direct bus route that takes riders straight to the metro in the morning. They have recently updated the cosmetics of the building, i.e. painted the outside, new interior, updated fitness room, which has been very nice. There are many different kinds of residents who live there, so I find it nice that there is a diverse group of tenants, from single people to small families to couples, old and young. Overall good vibes. The Harlowe is a very legitimate complex with respect to value and location. 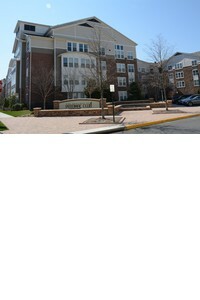 Right outside of DC and near pentagon city, etc, it is a good location and the pricing is relatively appropriate. Decent management, friendly environment. They are doing upgrades and the building seems to be headed into a terrific direction. I love living here, the rent is affordable and the amenities are great (2 pools, business center, gym). It's also a perfect place for dogs as nearly everyone owns a dog here and we often have a social hour. There are numerous social events put on also, we just watched the Super Bowl. Parking is usually good, you can pay more for a reserved spot - we don't.